Get shoes for the whole family right now at Target! 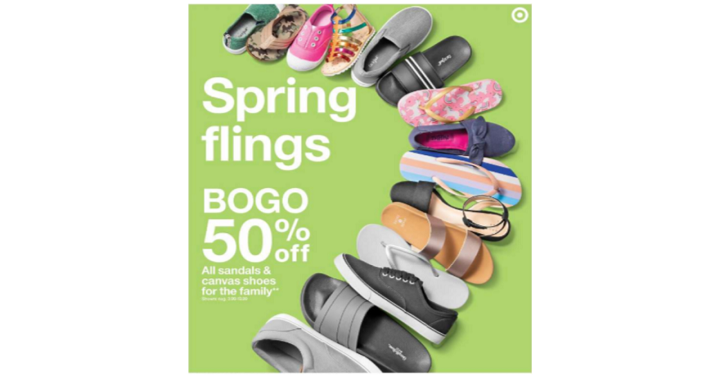 They’re offering buy one get one 50% off select summer shoes now through March 30th! This deal is happening both in-store and online and shop where you can and when you can. It’s a great time to snag some summer sandals for everyone or get some jelly shoes!